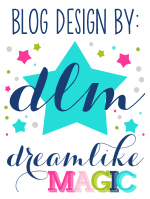 After coming down from all of the excitement of the Everything's Kindergarten Expo AND becoming a Teaching Blog Addict Administrator last weekend, I feel like I need to recap and bring to the top some things I've got going on on my blog and current freebies that I have available to you. First things first, I posted a differentiated freebie to teach kindergarten and first grade students about dividing equal shares. Be sure to follow me at TpT while you are there and you will be notified every time I post a freebie. The ESGI One Year Subscription Giveaway is still current. Read all about it here and make sure you read the comments. Teachers are raving about the system that was designed by none other than a kindergarten teacher! Did you get my Popcorn Word freebie? Click here if not! Have you been following along with The Julia Cook Project. This will take you to the latest post that has links to the previous posts so you can catch up! Make sure you are reading these books to your students in case YOU WIN THE SKYPE SESSION with Julia Cook.....coming soon right here, so be sure to follow along! 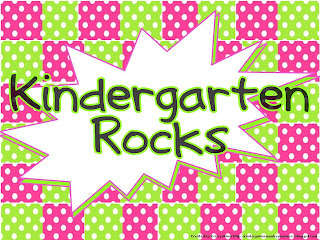 How about my free printable Kindergarten or 1st Grade Rocks posters? Did you get those? I also put an offer to make any other grade, too! Please feel free to pin anything you see here that might interest any of your Pinning Friends (I've put a PIN IT button at the bottom of all of my posts for your convenience) or share this post with others, so they can take advantage of these freebies and opportunities.